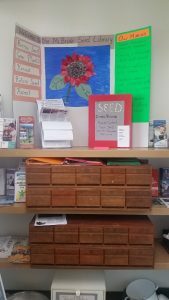 The Seed Library is a free program committed to increasing our ability to feed ourselves wholesome food by offering seeds and education. Through the time-honored tradition of seed saving we celebrate biodiversity, nurture locally adapted plant varieties, and foster community resilience, self-reliance and a culture of sharing. 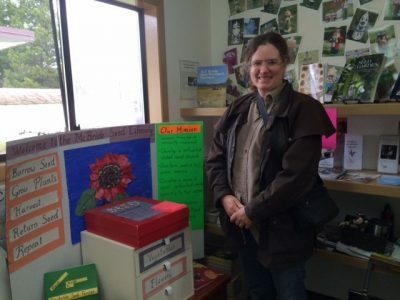 The Seed Library operates on the honor system. You become a member automatically when you withdraw seeds to plant. 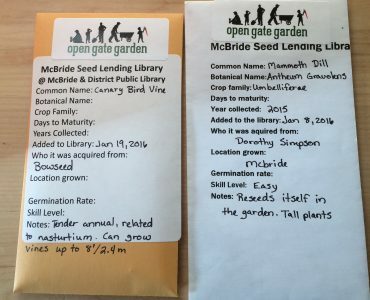 We encourage all members to learn basic seed-saving techniques. We encourage that beginning seed savers grow out and return seeds from lettuce, tomato, bean or pea plants the first year.